Can’t believe January was the last time I posted here. I have a bit of catching up to do. I’ve been teaching a figurative clay sculpting class with my first sculpting instructor Jane Bunge Noffke I continue to learn from Jane’s passion and ability to capture human emotion in clay. My other big news is a group exhibit I have opening this weekend. I’ll have 10 pieces on display along with 8 other artists. 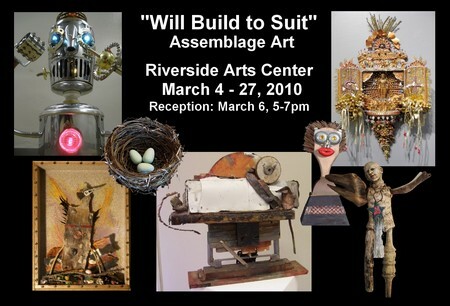 Included in this body of work is the finished assemblage using the head I documented progress on here. I’ll follow up with more thoughts next week. This entry was posted in clay, exhibition, Michigan Art, narrative sculpture, sculpture. Bookmark the permalink.